Highly acclaimed Beautiful South & Housemartins tribute band. 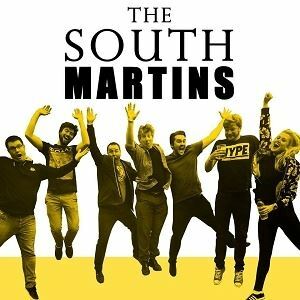 An energetic seven-piece band that plays all the hits and other bits of a hugely successful and varied songbook. With an unbeatable set of classic tracks such as 'Song For Whoever', 'Good As Gold', '36D', 'Perfect 10', 'Rotterdam', 'Happy Hour', 'Sheep' and many more, this is a tribute band for many occasions and many different audiences.